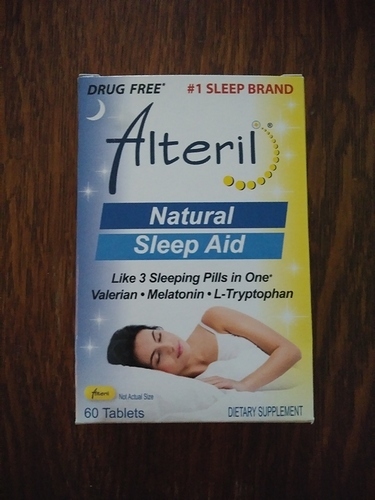 Does anyone have any advice or experience on using sleep aid (like melatonin tablets) during withdrawal? The first few days I was fine but the past two days I haven’t been able to sleep. I’m detoxing at home on my own and I am still experiencing minor withdrawal symptoms. I understand that withdrawal symptoms mean the chemical imbalance within my body is correcting itself so I’m worried about mixing a sleep aid into that equation. Any thoughts? Thanks! If you’re able to get to a doctor ask for a prescription for tryptophan, it’s natural and not a narcotic. It’s an amino acid found in turkey. I take it nightly and it works great for me. Hope this helps. Interesting. I honestly didn’t even know that existed in pill form. I will definitely look into it. Thank you! Valerian root acts on GABA receptors to stimulate them, like alcohol and benzos do but at a slightly different part of the receptor. I would use a lot of caution adding that to any abstinence-based recovery program unless it is prescribed and monitored by a medical professional. I don’t use it anymore for that reason. That’s honestly what my main concern is. My DOC is alcohol which I am hell bent on kicking. I don’t want to trade one addiction for another so I am looking for a natural alternative to sleep aid for the time being. Hey Erik - first of all, big congrats on your decision to stop drinking. Best decision you could possibly make! I’m coming up on 5 months and I will say that the first 6-8 weeks were really tough sleep-wise for me (like 2-5 hours a night). I started 3-6 mg of melatonin a couple weeks into sobriety and it helped for me, but only to a certain degree. It created a window of tiredness, so if I took it and laid down, it was much easier to fall asleep. If I took it and stayed up thinking about things or watching Netflix, i’d lose the window and then have insomnia. The thing that helps now is cardio. Lots of cardio, early in the day. I’m starting to sleep very well as the sobriety days increase and the more exercise I get. And I stopped melatonin easily about a month ago. Good luck, friend. Thank you for this suggestion! I started taking tryptophan about a week ago and not only am I sleeping better I feel way better and less anxious throughout the day! I’m so glad it’s working for you. I know I was super happy to find something more natural and without side effects.